One of the more common pieces of advice I received from experienced moms when I was pregnant was, “All you really need are diapers and a car seat; you can worry about the rest later.” I couldn’t believe it. As a first-timer, there were so many things to buy in order to prep for bringing baby home. It was overwhelming. Looking back on it, that advice was helpful. Depending on just how prepared you want to be, diapers and a car seat might not be the only things you need, but they’re certainly the most important. The diaper thing is pretty obvious, but one thing you should know about car seats is this: You won’t be allowed to leave the hospital with your baby unless you have a car seat that has been properly installed. There’s an overwhelming amount of information available online on car seat safety – as there should be, since it’s so incredibly important – so here we’ll break it down into 7 tips. Note this info is relevant for newborns to age 2. Check for recalls. Hopefully you did this before purchasing your car seat, but if not, it’s a good idea to check before you install it. Depending on where you bought the car seat, you should be able to return it in the event of a recall. 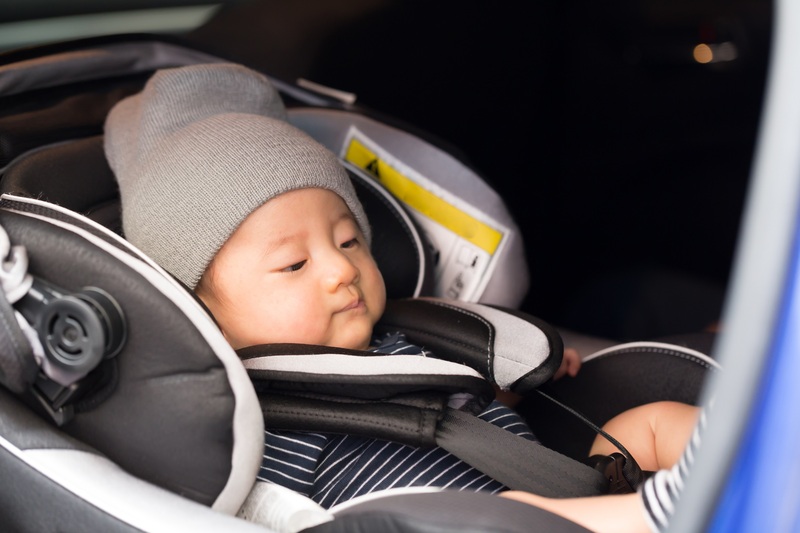 It’s hard to keep up with recalls, but you can sign up to get email notifications about car seat recalls through the National Highway Traffic Safety Administration (NHTSA) here. Register your car seat. This is another way to get notification if your particular car seat is recalled or if a part replacement is needed. Check the car seat’s box – there should be a registration card in there. You can also register online through the car seat maker’s website. Install the car seat. This may seem simple, but it can be tricky, especially for first-time parents. 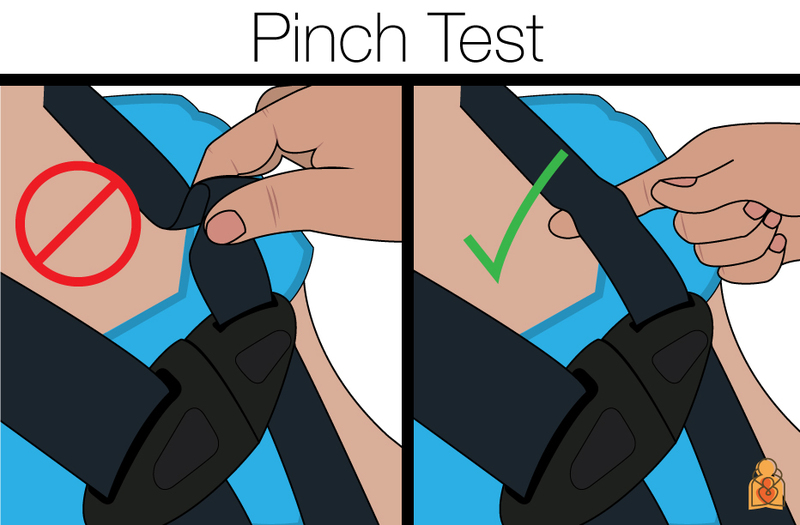 Many car seats have more than one way to install (LATCH vs seat beat), so be sure to read the manual that comes with the car seat thoroughly. If you don’t have the manual, you can search for it online. Be sure to put the car seat in the back seat so baby isn’t injured by air bags in the front. It’s important to point out that babies should be rear-facing in the backseat until they’re 2 years old. They’ll disagree with you (often loudly) as they get closer to that age, but that’s a topic for another blog. Once you have installed the car seat, get it inspected. Believe it or not, up to 59% of parents don’t install their car seats properly. To say this is terrifying is an understatement. The good news is, there are certified technicians that can help make sure you’ve install your car seat correctly. Contact your local police station, fire station, or children’s hospital to make an appointment, or click here to find a certified technician near you. It’s a good idea to get it done sooner versus later in case the place you choose books up quickly. Be familiar with the size limits. All seats have height and weight limits. Because there should be an inch between the top of the car seat and baby’s head, it’s a good idea to pay attention to the height of the car seat. Read your car seat manual to know when you need to move on from your infant seat. Again, keep baby rear-facing until the age of 2 to reduce the risk of serious injury in an accident. The chest clip should be at armpit level. If it’s any lower, it could cause internal injuries in an accident. Check your manual on how to adjust the shoulder straps if you think they’re too high or low. Keep the shoulder straps snug. You should be able to put a finger between your baby’s chest and the strap, and you shouldn’t be able to pinch the strap so much that the material folds. You might need to remove any blankets or your child’s coat before putting him/her in the car seat. Check out this puffy coat check from Consumer Reports or talk to your child’s pediatrician. This can be really annoying in cold weather, but your child’s safety is most important. You can always cover baby up after buckling him/her in. See more winter safety tips from the American Academy of Pediatrics here. National Highway Traffic Safety Administration. Car Seats and Booster Seats. Children’s Hospital of Philadelphia. 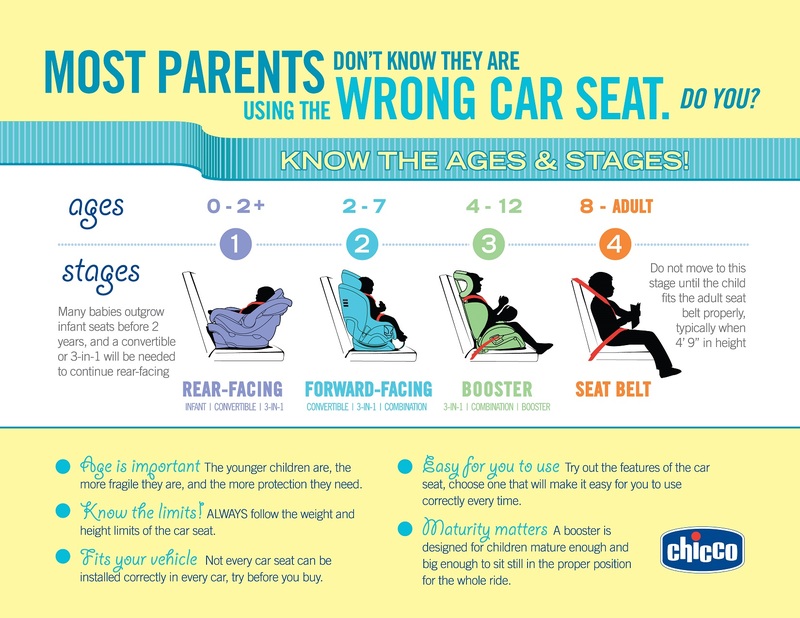 Car Seat Safety: Newborn to 2 Years. Consumer Reports. The Dangers of Winter Coats and Car Seats. Your Unborn Baby Has No Heartbeat. Now What? When Does A Baby Begin Reacting To His Name?